Aluminium is a silvery-white metal that is most abundant in the earth’s crust. It is found only in combination, mainly in bauxite and has good thermal properties. It is used to form many hard, light, corrosion-resistant alloys. Aluminium is a light-weight durable metal which has a high strength to weight ratio offering structural integrity, which makes it ideal for use in a wide range of products. Aluminium is used extensively in the building, construction and home improvement industries. Indeed, the use of aluminium in the manufacture of windows, doors conservatories and orangeries became popular in the 19th century because of its excellent properties. Slim, elegant and robust profiles are key features for aluminium windows and doors. 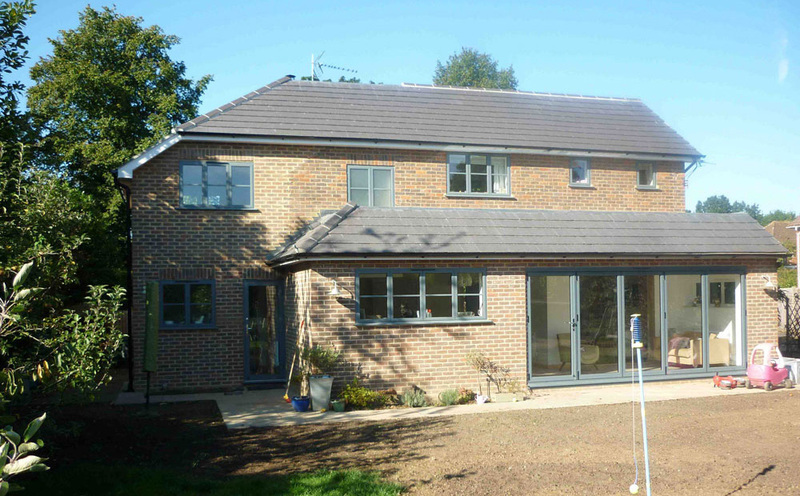 Aluminium is extremely versatile and can be installed either directly into brick or stone, into new timber frames or into your existing timber frames. Aluminium profiles that are used in the fabrication of windows, doors and conservatories are available in a choice of finishes i.e. anodised, paint or foiled/laminate and in a wide range of standard RAL colours.